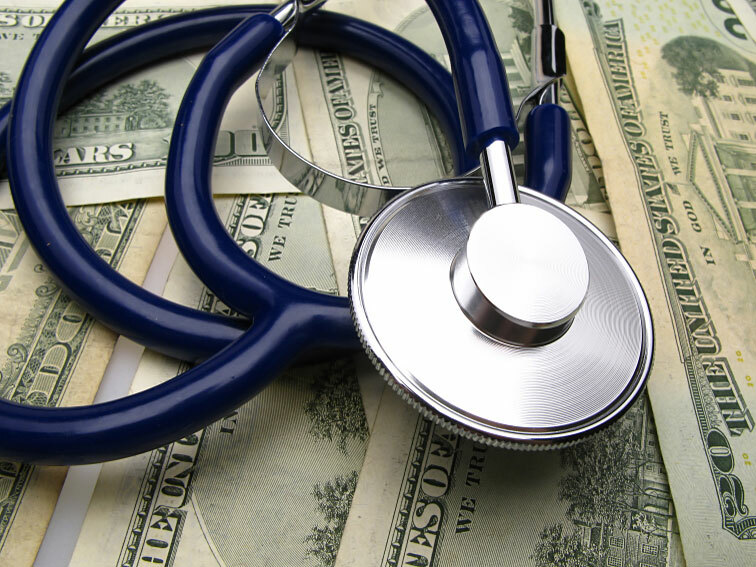 Costs Of Defensive Medicine May Be Overstated : Shots - Health News The costs of defensive medicine practiced by doctors guarding against lawsuits are real, but not nearly as high as some have claimed. Even so, it's probably worth trying to tame them, some policy analysts say. It's almost become an article of faith that the health care cost problem in this country can't be fixed until someone does something about defensive medicine. How much do we spend on all those extra tests and procedures doctors perform either to avoid getting sued or to protect themselves in case they do wind up in court? Rep. Tom Price (R-GA), a physician, said recently on the House Republican website America Speaking Out that the tab runs "an astounding $650 billion each year. That's 26 percent of all money spent on health care." But a series of studies published in the current issue of the policy journal Health Affairs suggests that number is not only dramatically too high, but that most of the popular proposals for addressing the medical malpractice problem -- particularly capping damages for "pain and suffering" -- would do little to reduce the practice of defensive medicine. First, the numbers. Longtime malpractice and patient safety researcher Michelle Mello of the Harvard School of Public Health noted that some of the figures used during the recent health overhaul debate were "quite imaginative." So she and several colleagues set out to devise a "more defensible estimate." Their conclusion? The total cost of medical malpractice-related costs to the health care system, including defensive medicine, is about $55.6 billion per year, or about 2.4 percent of annual health care spending. Defensive medicine is about 80 percent of that total, the researchers found. But even if it's not a huge percentage of the nation's health spending, trying to fix what ails the malpractice system is something worth doing Mello says. "We're spending a very large amount of money every year on a system that's deeply flawed," she said at a briefing sponsored by the journal. Many injured patients never get compensated at all, and many patients sue who are not really victims of medical negligence. Still, fixing the system won't be easy. A second study, whose lead author is William Thomas of the University of South Maine, found that while the practice of defensive medicine is widespread by doctors, "the incremental cost associated with this is very small. We found it to be less than one percent of the total cost managed by these physicians." Thus, savings to be gleaned from tort reform would be lower still. The study found the savings associated with a 10 percent reduction in medical malpractice premiums would be 0.132 percent. Finally, a paper by Emily Carrier of the Center for Studying Health System Change and colleagues found that doctors are, well, human. In other words, sometimes they perceived their risk of being sued as being higher than it actually was, given their specialty and the laws and legal environment in their state. In particular, the paper found, capping damages for pain and suffering, which is the top malpractice solution favored by most doctor groups, "was not associated with a significant difference in perceived malpractice risk." Carrier said at the briefing that "interventions that change the nature of the risk; by making it more predictable and less adversarial…might do more than interventions that just change the amount of the risk" in changing doctors' perceptions and behavior.